If you are thinking about getting chickens, and live in an urban area, be sure to check your local zoning or city ordinances for any regulations or prohibitions directed towards poultry or livestock in general. The following summarizes ordinances and zoning for the three major urban areas of Alaska: Fairbanks, Anchorage and Juneau. Fairbanks: The City of Fairbanks does not have specific ordinances directed towards the keeping of poultry for either personal or commercial use. Poultry, like other livestock, are regulated by Fairbanks North Star Borough zoning. Poultry husbandry falls under the agricultural designation, and within that there are two divisions: general agriculture and agricultural commercial. The latter is any type of agricultural use that is commercial in nature, such as growing and producing chickens or eggs as a business. There are five zoning designations that allow agriculture and by extension, poultry: GU (general use), RA (Rural and Agricultural), RR (Rural Residential), RE (Rural Estate) and RF (Rural Farmstead). GU, RF and RA districts allow both domestic and commercial livestock operations without conditional permitting. RR and RE zoning permit domestic livestock but do not explicitly permit commercial operations and there is a lot size restriction for RR: domestic livestock can be on lots 80,000 square feet or larger. The outdoor keeping of noisy birds such as turkeys, roosters, guinea fowl, geese or peacocks is prohibited. Hens are fine. Up to five animals (for example, hens) may be kept on lots of 6,000 square feet or less, with an additional one animal per additional 1,000 feet of lot area. Thus your flock size depends on how big your property is. Structures for the keeping of outdoor animals shall be at least 10 feet from any lot line and shall not encroach into the setbacks of the zoning district. It is unlawful for any owner or custodian of an animal defined under this section to permit it to make chronic animal noise. Therefore, in Anchorage you may keep a small flock of hens with the size of your flock depending on the size of your property. Juneau: The City of Juneau has helpfully created a short cheat sheet on the dos and don’ts of keeping chickens and other farm animals in Juneau; it can be found either through this posting, or by searching on “chickens” on the City of Juneau’s website (www.juneau.org). In short, in Juneau up to six hens (no roosters) may be kept without any special permits in zoning districts: RR, D-1, D-3, D-5, D-10SF, D-10, LC, GC, WC, WI and I. In zoning districts D-15, D-18, MU and MU2, up to three chickens may be kept without any special permits, if the chicken coop and yard are more than 100 feet from the nearest neighboring residence. This appears to include a rooster, since the term used is “chicken” not “hen; but this should be verified with Community Development. Note Bene: While the above may give you a general gist of what may or may not be permitted where you live, ordinances change over time as may interpretations. Always obtain and review a copy of the zoning ordinances and contact the Planning Department of your particular city prior to investing in and embarking upon the owership of a backyard flock. The Anchorage rules on hens described above are now in a new section of the Anchorage Municipal Code, section 21.05.070. Hi there, we’re moving up to Fairbanks and first, I have to say, thanks for posting this! Very helpful. Do you know if one could raise just a few hens for eggs only in a multi family zoned area in Fairbanks? I know you said that there really isn’t specific ordinances for Fairbanks but MF are not allowed agricultural or livestock. 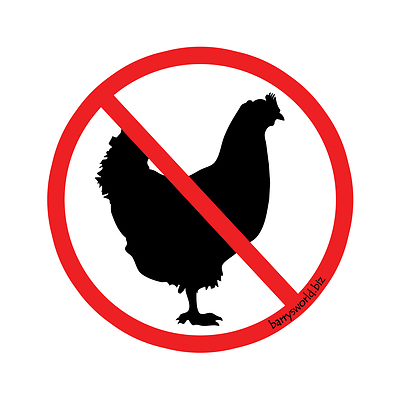 Hi Tamara: Livestock including chickens are not allowed in MF zoning. I suspect, though I cannot prove, that there probably are very small flocks of chickens (no roosters!!) though, in some parts of residential Fairbanks. Maybe two, three, four hens. If they are quiet and do not smell, I would imagine no one would really know they are there. There are several properties in the Weeks Field Estates (downtown residential) that keep hens. No roosters that I’ve seen or heard.